To put it simply, the minute you write something down, even if you carve it in the side of a tree, it is copyrighted and you own that copyright. The trick comes when you need to prove that you wrote it FIRST and it was your ORIGINAL idea. Read on to discover some amazingly easy ways to do this. Just the act of committing something to paper (or stone, bark, or papyrus) creates an implied copyright. But what happens if you write a great story and pass it around to your friends, who give it to their friends and one day you open a magazine and see your story under someone else's byline? How do you prove you wrote it first? The first thing you want to do is simply write the word 'copyright' and add the symbol (c) and the date and your name at the bottom of every page of the story. Now that you have established you want to copyright the story, you can further prove that it is yours and was written on a certain date by emailing it to yourself and saving it. This creates a time and date stamp that will add credibility to your claim. Go one step further and print it out, mail it to yourself, preferably by registered mail. Keep the envelope in a safe place and do not open it unless you need to prove in court that you actually were the first person to create the story. This method is going to be more readily accepted in court than just a print out with your copyright on it or even an email. 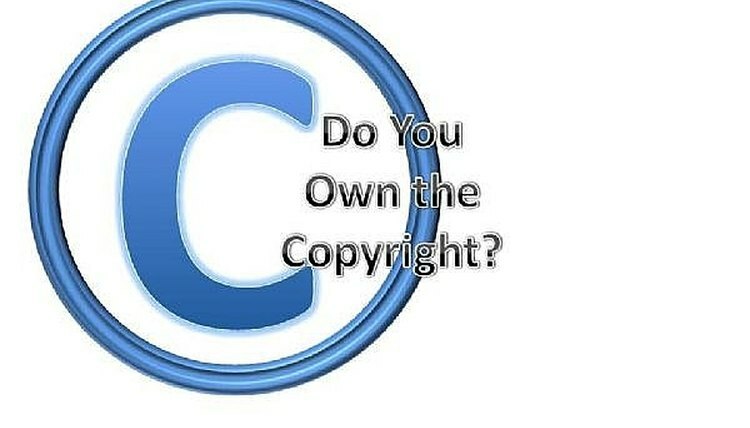 If you think your work is going to be vulnerable to theft and you want ultimate protection from copyright thieves, you can register the work with the United States Copyright Office (see resources below. There is a cost to doing this, usually around $35-$45 per manuscript, but if your work is stolen and it is registered you will be able to take enhanced legal action. Contributor. "How to Prove You Own the Copyright." , https://legalbeagle.com/5012236-prove-own-copyright.html. Accessed 20 April 2019.